HCM City (VNS/VNA) - A long-term plan for renewable energy sources such as solar and wind must be devised for Vietnam to realise its goal of connecting the entire country to the national grid, experts have said. Renewable energy will play an essential role in helping Vietnam accomplish the goal by 2030, but more Government efforts are needed to attract investment in the sector, they noted. Speaking at a recent international conference on renewable energy held last week in Ho Chi Minh City, experts said that annual energy consumption in the country had risen by 10 per cent in recent years, and the country was at risk of facing power shortages in the 2020s. Vietnam has the potential to reach 35,000MW generated by the sun by 2030, according to researchers. Solar energy projects, including rooftop solar, are viewed as one of the major solutions to reduce pressure on the electricity sector. The generation of 1kWh of solar energy will help reduce CO2 emissions by 0.6612 kg, according to the Ministry of Natural Resources and Environment. Solar energy, a clean energy resource with relatively high output, would also reduce the amount of state spending on power generation and transmission facilities. If only two million rooftops have solar panels (with a capacity of 10 kW per roof), the country would cut by 16 million tonnes the amount of coal needed per year for coal-fired power plants. Tran Viet Nguyen, deputy head of the Electricity of Vietnam (EVN) business division, said that EVN offices last year installed rooftop solar systems at 54 locations with a total capacity of 3.2 MWp. Some 1,800 customers, including offices, businesses and households, are installing rooftop solar systems with a total capacity of 30.12 MWp, he said. In HCM City, EVN has installed rooftop solar systems with a total capacity of nearly 1,130 kWp and is continuing to deploy other systems. However, Tran Dinh Nhan, EVN general director, said this amount was far below the potential of Vietnam, attributing the reason to a lack of specific regulations about electricity purchases when households connect their solar power systems to the national grid. In addition, information about rooftop solar power remains unclear and the cost of solar power investment at 20-25 million VND (1,000 USD) per kWp is still high, while there is little Government support policy for solar power projects. Customers continue to be reluctant to invest in solar systems due to a lack of information about product quality, operating methods, and equipment warranty. With the goal of reaching solar output of 1GWp by 2020, Prime Minister Nguyen Xuan Phuc recently approved Vietnam’s renewable energy development strategy to 2030. The Ministry of Industry and Trade has also issued Circular 16 on solar project development and power purchase agreements (PPAs) in order to solve issues related to taxes and payment methods for rooftop solar power projects. By the end of last year, about 10,000MW of solar energy had been generated by large solar projects, according to the Ministry of Industry and Trade. More than 100 power purchase agreements (PPAs) were signed with two of them having total capacity of 86MW, the ministry said. PPA is a financial agreement in which a developer arranges for design, permits, financing and installation of a solar energy system on a customer’s property, at little to no cost. This lower electricity price serves to offset the customer’s purchase of electricity from the grid while the developer receives income from the sale of electricity as well as any tax credits and other incentives generated from the system. At the end of the PPA contract term, a customer may be able to extend the agreement, have the developer remove the system, or choose to buy the solar energy system from the developer. PPAs usually range from 10-25 years and the developer remains responsible for the operation and maintenance of the system for the duration of the agreement. EVN currently cannot sign PPAs with customers because of the lack of official instructions on how to buy solar electricity from households. Nhan, EVN general director, said the electricity sector would assist households and enterprises in installing solar power systems and help them with procedures to connect to the national grid and sign power purchasing agreements. He said the buying of solar electricity connected to the grid would be done as soon as there are guiding circulars issued by the authorities. EVN will pay for installation of electricity meters to measure the volume of electricity consumed as well as connected to the grid. Samresh Kumar, managing director for principal investments at VinaCapital, said it was important to mobilise international capital to improve the development of rooftop solar energy. 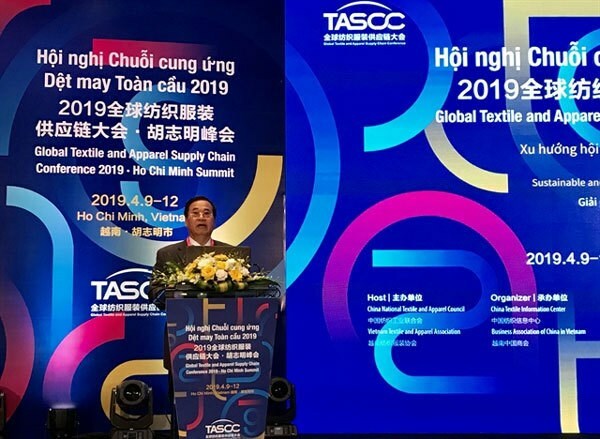 Hoang Quoc Vuong, deputy minister of Industry and Trade, said that a circular to amend Circular 16 would soon be issued by the ministry after collection of comments from ministries and sectors is completed. The new document will specify the method of payment for the purchase of solar output via specific contracts. The legal document is also expected to encourage investment in and development of rooftop solar energy in the future, he said. Ngyen Tam Tien, CEO of Trung Nam Group, said that renewable energy generation had already significantly increased. Samresh Kumar of VinaCapital said that solar rooftop power is an effective solution which provides a commercially viable option, especially for commercial and industrial segments.